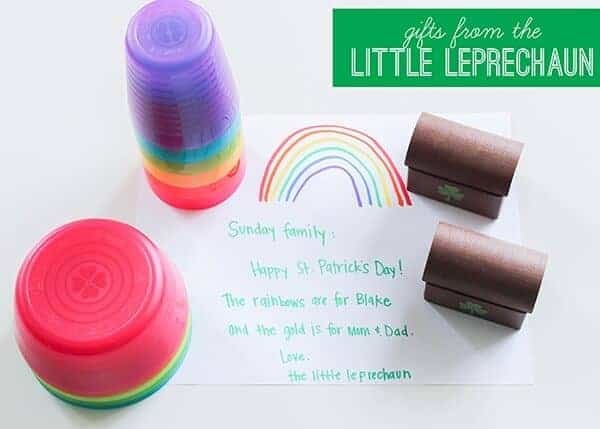 St. Patrick's Day Gifts from the Little Leprechaun - So Festive! Add some magic to your St. Patrick’s Day with a visit from the little leprechaun! If you’re lucky, you’ll find a St. Patrick’s Day gift at the top o’ the morning. St. Patrick’s Day on March 17th is a fun holiday to celebrate with your family. Sure, it’s not as big of a deal as Valentine’s Day or Easter, but making the day special with a few St. Patrick’s traditions will be make the day memorable and add a little festiveness to your life. Having a family home evening lesson all about St. Patrick! But… if you are looking for a non-food St. Patrick’s Day tradition, this idea is for you! St. Patrick’s Day doesn’t have to be a day of gifts. Sometimes when holidays involve gift-giving, it can be overwhelming and stressful. 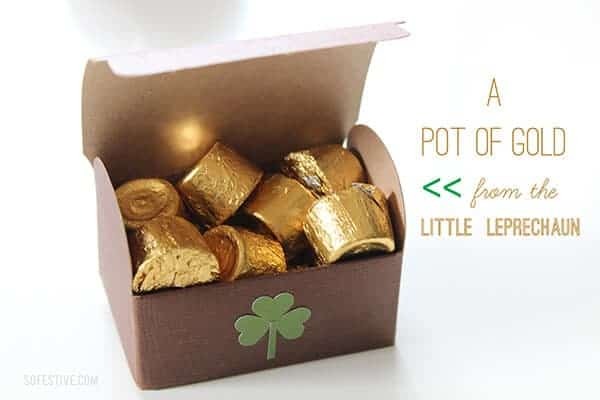 However, if your children are in need of something, maybe St. Patrick’s Day is a good time to surprise them with a little gift from the leprechaun. These gifts can be as simple as chocolate gold coins spread around the house for children to find, or leave them a fun rainbow gift! I’ve created an entire list of favorite Rainbow-themed gift ideas right here if you need some inspiration! If you want to go with the “gold” gift, you could leave gold-wrapped Rolos or chocolate coins! I created these cute treasure boxes with die-cuts from a craft store and filled them gold for my family! So simple, but festive! My children love waking up to find that a leprechaun has turned the milk green! 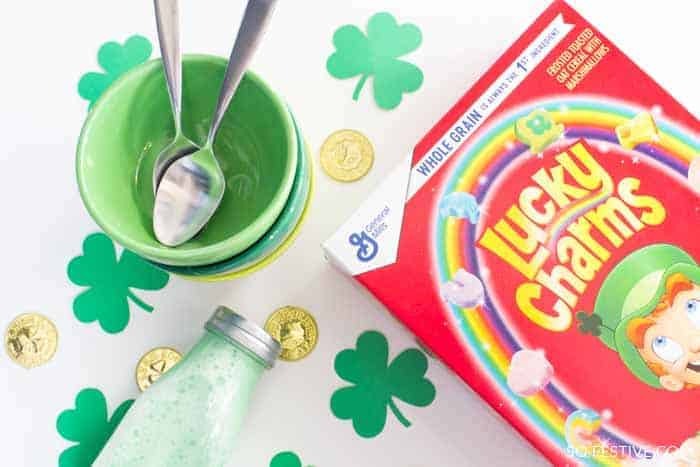 That leprechaun must know that children love eating their Lucky Charms, a once a year tradition, with colored milk! I hope these simple ideas will inspire you to create a little extra excitement at your house! Have a festive St. Patrick’s Day!